Charming brand new tastefully appointed quality built two-story home just underway by Bob Martz Homes, Inc. with an anticipated June completion, Buyer's still have time to personalize this home with their own colors, amenities, and finishes. Situated on a premium level lot across the street from expansive 1/2 acre lots in the newest phase 8 of 44 Ranch Estates. This rural open setting with panoramic views is conveniently close to town , 5 acre community park and in the renowned Hellgate Elementary school district. Spacious 2,540+ square foot home greets you with an open main floor design with tasteful neutral decor throughout. The spacious living room offers a large bay window, decorative gas fireplace, and huge open adjacent spacious dining area and gourmet kitchen. The expansive well designed kitchen features ample quality cabinets, abundant counter space and raised pull up elongated center island/breakfast bar, hardwood flooring, and stainless steel faced appliances (per builders $2500.00 allowance). Conveniently located off the main floor laundry/mud room is a direct zero clearance threshold access attached rear sized 26' x 24' finished garage. The main level offers a junior suite bedroom with direct access full bath & double closets that would make the ideal main floor office den as well. The upper level features three spacious bedrooms and two full baths. Large Master suite boasts a spa inspired private bath with elongated double sink vanity, separate 6ft soaking tub & a 5 ft walk-in shower, and king sized walk-in closet. Low maintenance exterior features a comfortable covered front porch, rear concrete sun patio, hardiplank siding, architectural shingled roof and large finished two car garage. Still time to personalize this home with your own colors, amenities, and finishes. Photos are from similar home already built that is located at 5381 Barbed Wire Drive. For more information please contact Kent Pratt at 406-544-7001 or your real estate professional. 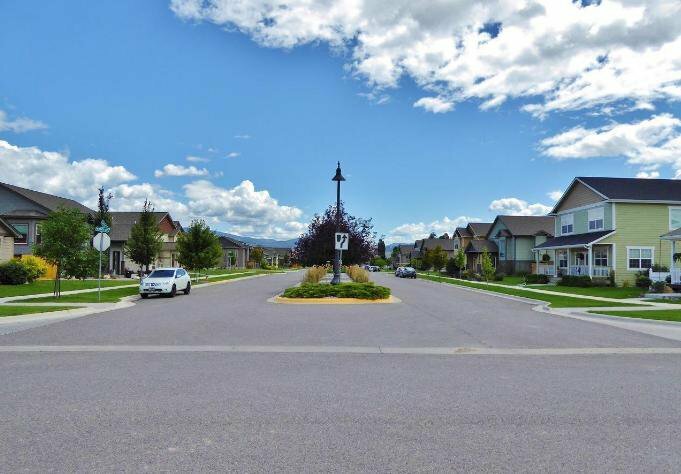 Listing courtesy of Windermere R E Missoula.